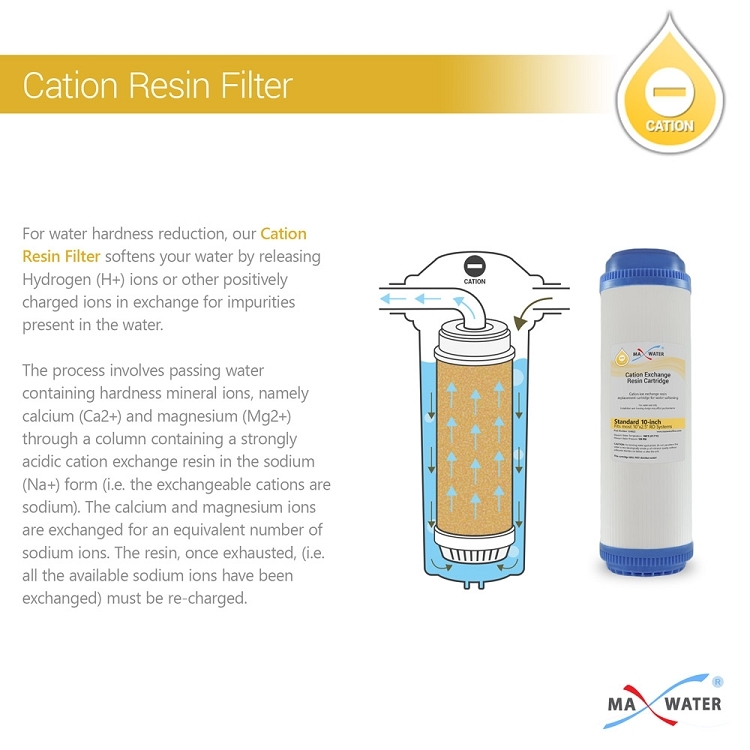 For water hardness reduction, our Cation Resin Filter softens your water by releasing Hydrogen (H+) ions or other positively charged ions in exchange for impurities present in the water. The process involves passing water containing hardness mineral ions, namely calcium (Ca2+) and magnesium (Mg2+) through a column containing a strongly acidic cation exchange resin in the sodium (Na+) form (i.e. the exchangeable cations are sodium). The calcium and magnesium ions are exchanged for an equivalent number of sodium ions. The resin, once exhausted, (i.e. all the available sodium ions have been exchanged) must be re-charged. This entails passing a solution containing a high concentration of sodium salts, such as brine (sodium chloride), through the ion exchange resin in a process known as regeneration. 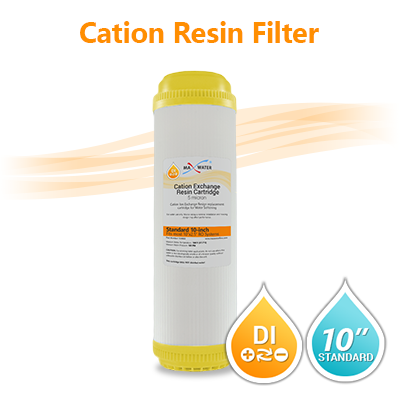 Cation Resin Filter Cartridge - Size 2.5" x 9 7/8"
Maximum Recommended Flow Rate: 2.5 to 5 GPM (depends on incoming water pressure). 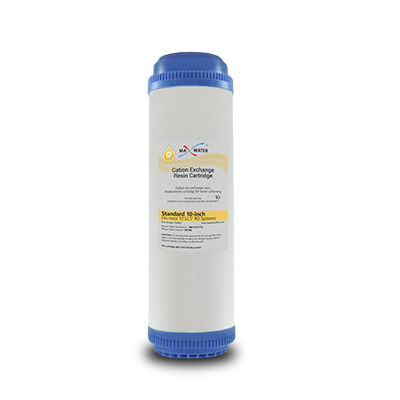 Reduces Total Dissolved Solids (TDS) and hardness, can also be used as a pre-filter to prevent build-up of scale on sensitive equipment.